Ailes will continue to serve as Chairman and CEO of Fox News. Fox News chairman and CEO Roger Ailes has renewed his contract, ending speculation about his future at 21st Century Fox now that Rupert Murdoch's sons are taking over the company. 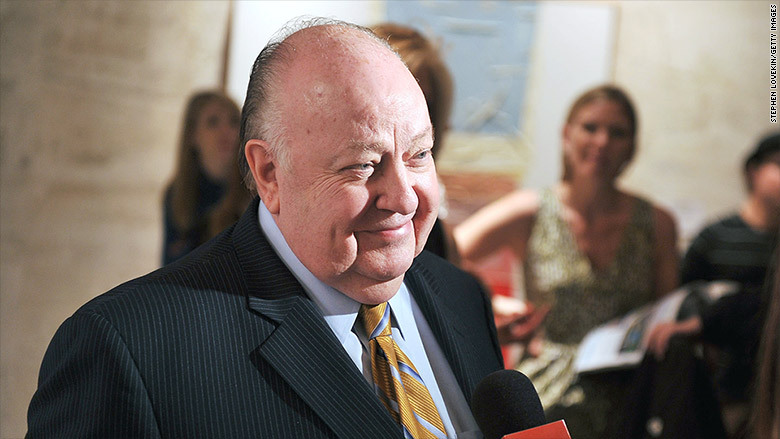 Ailes' contract renewal was announced Thursday morning. The company characterized it as a "new multi-year contract." Ailes' contract was previously set to expire in the summer of 2016, months before the presidential election. 21st Century Fox declined to elaborate on the length or the value of the new contract, but a person with direct knowledge of the deal told CNNMoney the contract is for three years, expiring in 2018. Along with running Fox News, Ailes oversees the Fox Business Network and Fox's local television stations. "I look forward to working with Rupert, Lachlan and James to do my part to help bring 21st Century Fox well into the future," Ailes said in a statement. Related: Is James Murdoch ready to be Fox CEO? Ailes, 75, appears to have gotten what he wanted -- a direct line of reporting to Rupert, even as the elder Murdoch hands the company over to his sons James and Lachlan. A 21st Century Fox press release said "Ailes will jointly report" to all three men, and in practice, that may mean Rupert will continue to call the shots when it comes to Fox. Effective July 1, Rupert will no longer be CEO of the sprawling media company. James will be CEO and Lachlan and Rupert will both be co-executive chairmen, in what's been described as a power-sharing triumvirate. This arrangement led to two questions about Fox News: one, whether Ailes would want to stay, and two, whether the sons would want him to stay. The sons' politics are said to clash with Ailes' brand of conservatism. Two weeks ago, when the Murdoch succession plan was first reported, Ailes said he expected to continue reporting directly to Rupert, and his news channels reported the same thing. But on the day the sons were officially named CEO and co-executive chairman, 21st Century Fox said Ailes would be reporting to them, while maintaining a relationship with the elder Murdoch. This increased the corporate intrigue. But Thursday's contract renewal snuffs it out and creates certainty for Fox News, a place where it's hard to imagine anyone else ever being in charge.